Turns out that sugar isn’t first on this list after all. Sodas, whether they are diet or full of sugar cane have the most severe effect on teeth enamel. These drinks strip the teeth of all their essential minerals. The acid content, in particular phosphoric, tartaric and citric are the culprits. One study showed that drinking sodas that are clear and citrus flavored dissolve enamel up to 3 times as fast as regular colas. While staying hydrated with fluids is extremely important during exercise, sports drinks are not the answer. 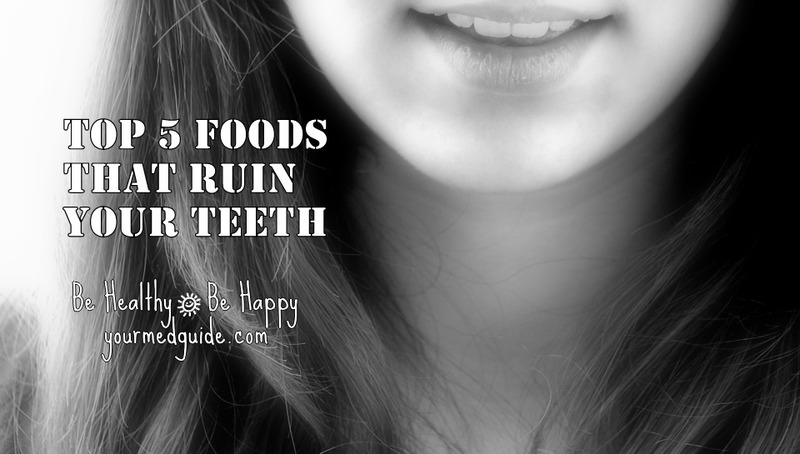 Unless you are a serious and highly aerobic trained athlete, these high acid content drinks pack a heavy punch for the deepest part of teeth enamel. One study that compared a number of different types of beverage that also included soda, fruit juice, kool-aid, and others, showed that sport drinks such as Gatorade actually did the most harm. Though they may have that “healthy” appeal on the surface, fruit juice drinks are not appealing to the surface of your teeth. Juices of all types are loaded with acids that are comparable to sodas in terms of their corrosive effect. Because juices also have some redeemable qualities like vitamin and mineral content, it’s important that you moderate this popular beverage choice as much as possible. If you do decide to indulge, a good measure would be to rinse your mouth out after consuming. If you’ve ever seen someone sucking on a slice of lemon or lime before, you may be surprised to learn that doing so damages your teeth significantly. Citrus fruits such as oranges, limes and lemons damage enamel due to their acidic content. While you don’t want tod itch fruit entirely due to their highly beneficial qualities, it’s a good idea minimize any mindless munching of them. Even eating fruit with a meal will help keep the damage to a minimum. Never been able to kick the old habit of eating sour candy? You should really consider it. One study that compared standard candy such as snickers to sour types found that the ingredients in sour varieties causes significantly more damage to teeth. Now tell me–which of these are your villains? And if you do have to consume them, make sure you rinse your mouth thoroughly afterwards!